Gianluigi Buffon has confirmed his retirement from international play after Italy's failure to qualify for the 2018 World Cup. The legendary goalkeeper had previously indicated his intention to step away from the Azzurri following the tournament in Russia. But Italy were eliminated from contention for the World Cup with a 0-0 second-leg draw against Sweden on Monday in Milan, as the visitors advanced on aggregate following a 1-0 win in the first leg. 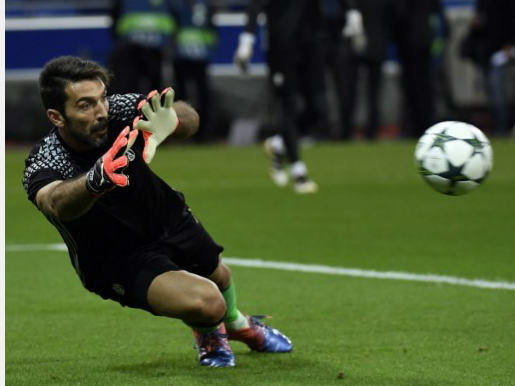 "It’s disappointing," Buffon said while fighting back tears. "Not for me, but for the football movement, because we failed at something that could've been truly important for the country. That is the only regret I have and certainly not that I am finishing my career, because time passes and it's only right. "It's just a shame my last official game coincided with the failure to qualify for the World Cup. [But] there is certainly a future for Italian football, as we have pride, ability, determination, and after bad tumbles we always find a way to get back on our feet. "I'm leaving an Italy side that will know how to speak for itself." Italy goalkeeper Gianluigi Buffon confirmed Monday he was ending his international career after the four-time champions failed to reach the World Cup for the first time in 60 years.